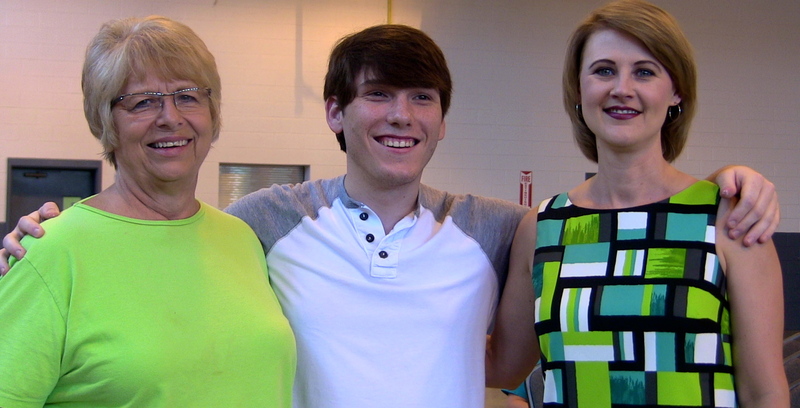 2013 Living Democracy Fellow Kaleb Kirkpatrick, center, worked with community partners Marengo County Extension Coordinator Kathryn Friday, left, and Brenda Tuck, executive director of the Marengo County Economic Development Authority. Living in rural southwest Alabama has been an extremely beneficial and rewarding experience during my ten weeks of Living Democracy in Linden. This time in Linden taught me more about how the “real world” operates than I ever could have imagined, helping open my eyes to rural life in America and especially in the Black Belt. I discovered both the benefits and disadvantages of living in a small town. 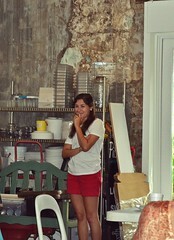 Coming from Mobile and as a student at Auburn University, I’m used to not seeing anyone I know when I go to the store. The only conversation that occurs is the usual “Hi …how are you?” But in Linden, it’s totally different. The people actually want to know how you are. They care if you’re okay or not, and they want to know how your life is going. It’s almost a sense that they would rather spend all day talking with you about life than actually “get down to business”. Over the entire summer in Linden, I’ve learned so much about the Black Belt region and the problems that the entire area faces. I’ve also grown to understand what solutions are being implemented in order to alleviate those problems. Much of my understanding comes from the work my community partners are doing for the area. Brenda Tuck, executive director of the Marengo County Economic Development Authority, pushes efforts vital to the entire region and to Alabama as a whole. Without industry and jobs, small towns like Linden may totally dry up. Kathryn Friday, also is providing valuable leadership for the community and region in her position as Marengo County Extension coordinator for the Alabama Cooperative Extension System (ACES). The student career classes she is planning for the fall may help stop the “brain drain” occurring in Marengo County and other rural areas. I can only hope the Linden Art Walk I helped organize with my community partners this summer had a small impact to help downtown development and unity. Ten weeks of living in a rural community seems like a long time but it really isn’t. So much of it flies by in the small moments. Things like visiting the senior center or interviewing local citizens or attending the City Council meeting were extremely beneficial and enjoyable. It helped me to realize the people in Linden haven’t given up. They all want to fight and help Linden thrive. The people who run small businesses here help keep everything going. Of course, they need the support of local shoppers to continue on. I’ve also learned some greater life lessons, especially that relationships count. I will never forget how many times Mrs. Friday told me how she was able to deal with this or that problem because she had a name at the ‘big’ office. And, of course, I know that one day when I’m working in Washington, D.C., or wherever and if Mrs. Friday calls me asking for a favor, I will be more than happy to oblige. I’ve also learned to never assume that things are done or have been done. This is especially true when working with the public as a whole. If you haven’t double-checked and gotten a 100 percent yes or no answer then do not assume anything. Just make sure that you are willing to do your own part, and everything will turn out all right. Overall, this experience was extremely enjoyable and fulfilling for me. It helped me to grow and develop as a young adult. Sacred places are places or symbols that truly represent the community. For example, the Statue of Liberty is an iconic symbol of New York City. There are numerous symbols representing different cultures and communities across the world. However, I have been particularly concerned with finding the “one” special spot that the people of Linden consider symbolic of their community. Unfortunately, that was one of the problems I ran into. Many of the citizens of Linden I talked to didn’t seem to point to one specific place or symbol that they felt best represented the community. Some felt that the old Dairy Queen restaurant deserved recognition as a special place. Unfortunately, it closed down a few years ago. I’m told that Dairy Queen was where everyone hung out in Linden, young and old. In addition, folks from outside the city limits would travel to Linden just to stop at the Dairy Queen. Since it closed, however, I needed to find somewhere else that could be representative of Linden. I came to realize one place in particular is a very recognizable symbol of Linden with a great local history attached to it. The place I found was the old Marengo County courthouse. The courthouse, designed in the Greek Revival style, was built in 1848. The courthouse became famous in 1890 when a notorious train robber, Rube Burrow, was shot by the sheriff right outside the building. The incident made national headlines, but eventually the public seems to have forgotten about the old courthouse and a new center of government was built. After county officials realized the courthouse needed to be placed in a better area, the current courthouse was built in 1902 and still is used as the county seat today. 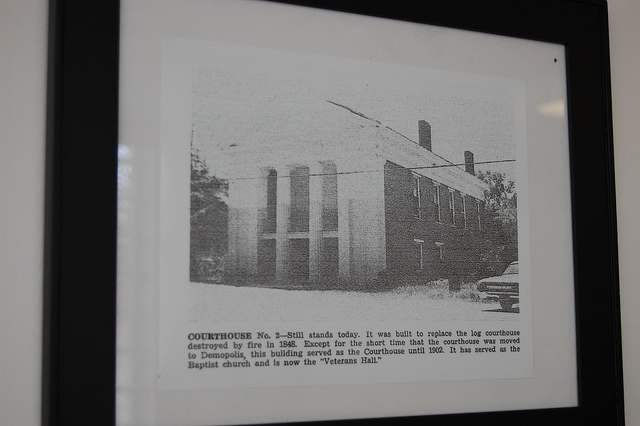 The old courthouse has been left standing on Cahaba Street, which was once Linden’s main business district. What is important about the courthouse is that the people of Linden care enough about their history to keep the courthouse from being demolished. That shows that, even though most people don’t immediately point out the courthouse as symbol, it is still a meaningful place. It is symbols like the old courthouse that help promote community unity. People can come together over one particular thing and help develop it into something much bigger and better. Without symbolic places, a community tends to lose its sense of self. I think that is actually one of the issues in Linden. A great project to help bring people together could be a courthouse revival. Citizens young and old could come out and help improve the courthouse. That, however, is something for the future generations to work on. Discussions on the fate of the courthouse can be contentious. Some people feel that it is an eye sore and that it should just be demolished. 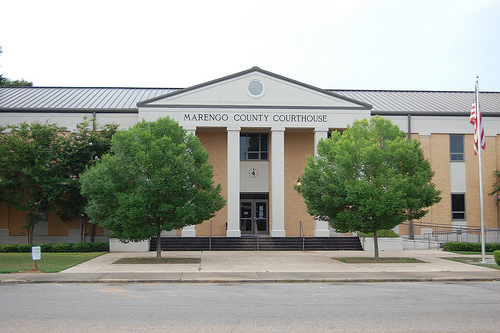 Others, especially the Marengo County Historical Society, see great value in the courthouse. They view it as a major asset that could be a tourist attraction. Fortunately, for now, advocates for the courthouse have won out. Overall, the old courthouse is a wonderful piece of history that should be respected and is an excellent example of what a symbolic place in a small town looks like. 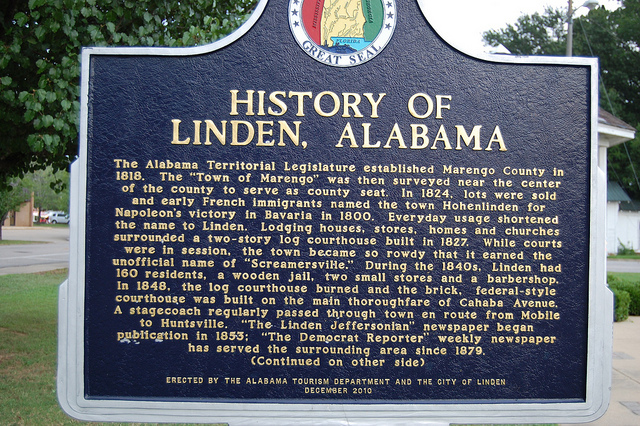 As long as the people of Linden and Marengo County continue to view the courthouse as an asset and the symbol of their town, then I am confident that it will continue to exist far into the future, strengthening the civic health of Linden. Civic organizations are extremely important to communities, especially rural communities. These organizations can provide a wide variety of goods and services, such as volunteer work, food drives or cleaning up public places including parks. Other civic organizations host events for the public to relax and enjoy their community. All of this is helpful and play a vital role in the civic health of a community. 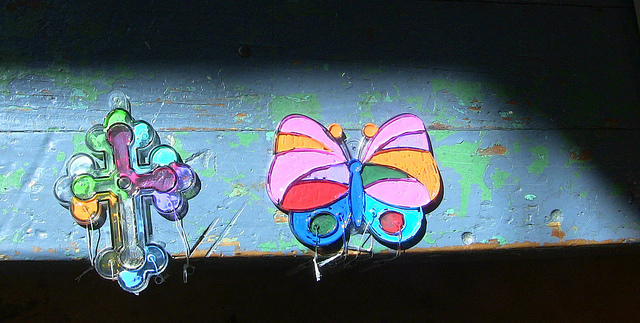 An excellent example of a civic organization is the Two Rivers Arts Council (TRAC). According to Morgan Grimes, TRAC works in Marengo County to “provide quality arts exhibits and performances to the community it serves and to assist and encourage local efforts which enable the community to create and make their own arts.” TRAC was created in the 1970s to bring appreciation of the arts to the people of Marengo County. TRAC has a fall and spring concert in City Park in historic, downtown Demopolis. The concert is free and usually TRAC gets local musicians to play. Last December, the Montgomery Ballet performed “The Nutcracker “at the Demopolis High School Auditorium. 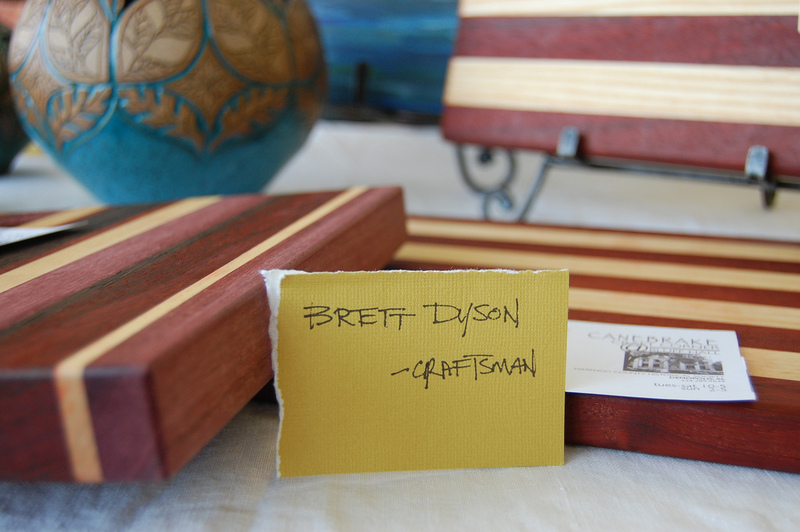 Recently, they partnered with me on the Linden Art Walk and were essential in getting names of local and regional artists. The organization is funded by membership dues, grants, corporate sponsorship, the City of Demopolis and donations. TRAC seeks to secure government support for the arts at all levels and, through the support of over 100 members, TRAC continues to thrive and offer quality art exhibits and performances to the community. A Board of Directors consisting of fifteen members governs TRAC. The board seeks funding from municipal, county, state and federal governments, local, regional and national business establishments, foundations, and private individuals in the community. Each year, the Council encourages members of the community and local businesses to become members of the Council. According to Mrs. Grimes, “The Two Rivers Arts Council aspires to elevate the style and quality of life for the citizens of Demopolis and Marengo County.” In order to become a member of TRAC, a citizen, official, or business owner must fill out a short membership form and pay dues. Memberships are valid for one year. TRAC also attempts to promote artists from Alabama throughout the region surrounding Linden, which is one of the main reasons the council wanted to assist with this project. Projects like the Art Walk help to benefit everyone and can bring together different organizations under the same umbrella of a cause. If someone was interested in purchasing a piece of art from an artist but did not know where to start, TRAC can help get both parties in touch. TRAC has multiple partners such as the Demopolis Chamber of Commerce, the Demopolis Public Library, The Demopolis City School System, the Marengo County Historical Society, the Marengo County History and Archives Museum, the Canebrake Players and the Demopolis High School Tiger Arts Guild. This type of cohesiveness and harmony between organizations is an excellent example of how common interests can come together to work on something. In addition, this group unity helps to promote everyone. For example, if TRAC had an event then the other partners from the other organizations will attend the event, all in the name of friendship. It’s a perfect picture of how citizens can come together and change their local communities. Overall, the Two Rivers Arts Council is a thriving and active organization in the heart of the Alabama Black Belt region. Their continued efforts will help to totally transform the area for the citizens living there. In addition, the organization and its partners can stand as a testament of how cooperation is extremely beneficial for small communities. With the help of the council, Alabama artists will continue to produce wonderful pieces of art for both private and public citizens. It will allow everyone to benefit and eventually the council could even help to advance local artists to the national level, much like the example of the Gees Bend Quilters when they were discovered. Linden Art Walk, a set on Flickr. 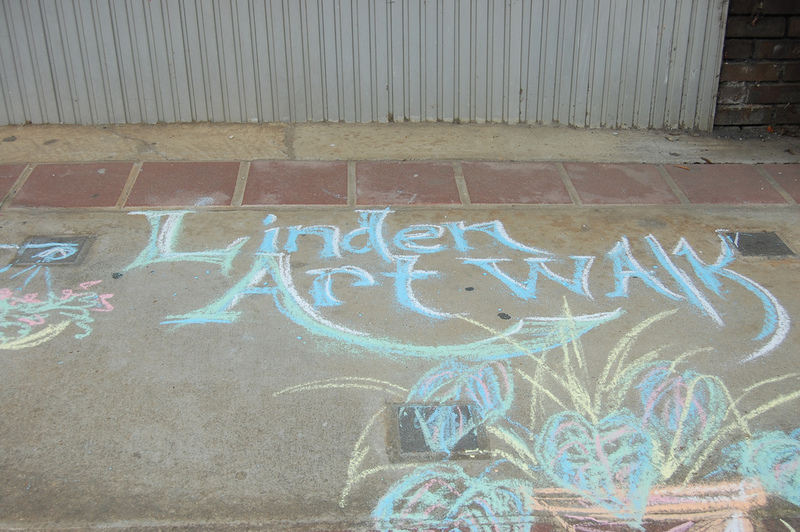 Check out some photos from Journalism student Nathan Simone’s recent visit to Linden’s Art Walk. The two-day art workshop I helped organize with Kathryn Friday, county extension coordinator with the Marengo County Extension office in Linden, is a great example of our government in action. First, the people got exactly what they paid for: the children and young teens of Marengo County were allowed to express themselves in a safe, clean and fun environment. Best of all, it was free! 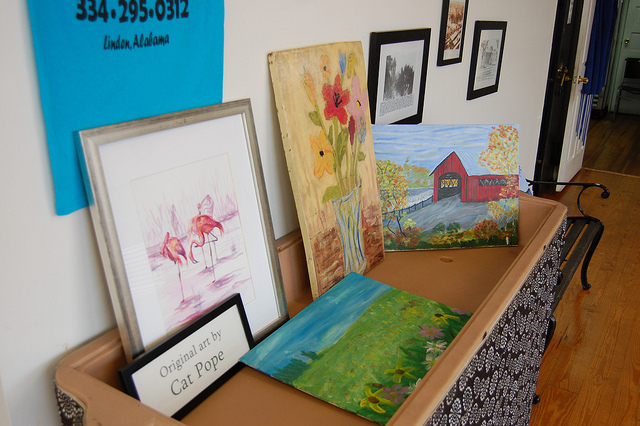 This summer art workshop is only one example of of opportunities that the Alabama Cooperative Extension Services (ACES) provide for children in Marengo County and all across Alabama. 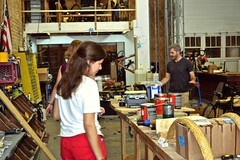 ACES sponsors a variety of workshops for students throughout the year. According to Friday, upcoming plans include career classes for young children to learn about opportunities in Marengo County. I believe this is exactly how public funds are meant to be spent, in ways that give back to the people. The recent art workshops for youth, and the other ACES events, provide a perfect example of a community building exercise between different generations. These workshops bring together both the young generation and the older generation and allows both sides to work together and bond over a common goal. 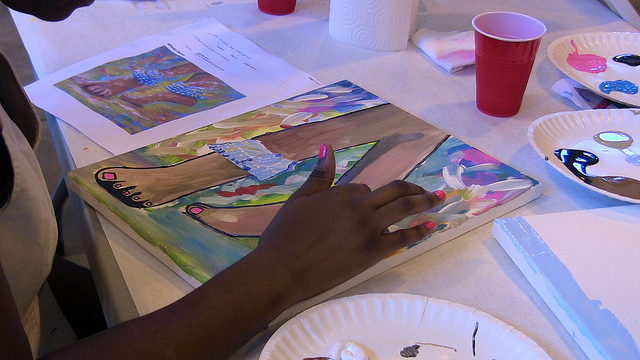 During the two-day art workshop, June 18-19, local youth enjoyed the opportunity to express themselves. For example, one teen participant, Jonalan Aydelott, told me after the workshop, “Thank you so much for having this. We don’t ever get the chance to do this stuff normally, and I really enjoyed doing it, so thank you.” This is exactly what these workshops should bring out in the students, to help inspire them and encourage them to pursue their dreams in life. And the bonus is that adults get pleasure out of teaching the kids. The art workshop and other opportunities provide kids a chance to “see” good examples of role models. In many cases, this can lead to a relationship between the adults and the kids. Eventually that can help to shape the lives these children will lead in the future. That is why it is so vital that Marengo County continue to support these workshops. If just one young person if positively influenced and is able to realize his or her potential then the entire program is a success. In addition, the basic hope behind much of these efforts is that youth can be inspired to find a reason to stay home in Marengo County. One of the very big problems for Linden and rural communities in general is “brain drain”. If these workshops can help a student decide to stay in Linden, then everyone benefits. One of the results that comes from “brain drain” is a lack of young people to fill vital job positions. Any attempt to attract young people or influence them to stay is a major asset. 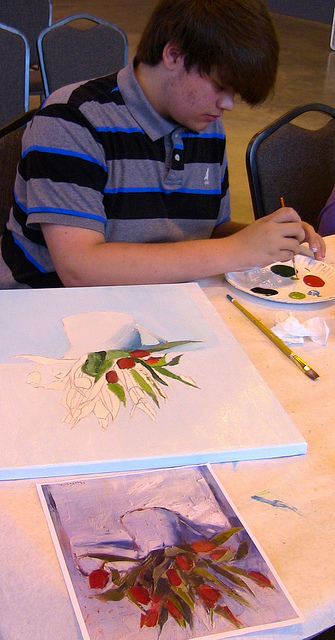 At the June Art Workshop, local youth created wonderful work that will be featured at the Downtown Art Walk in Linden. 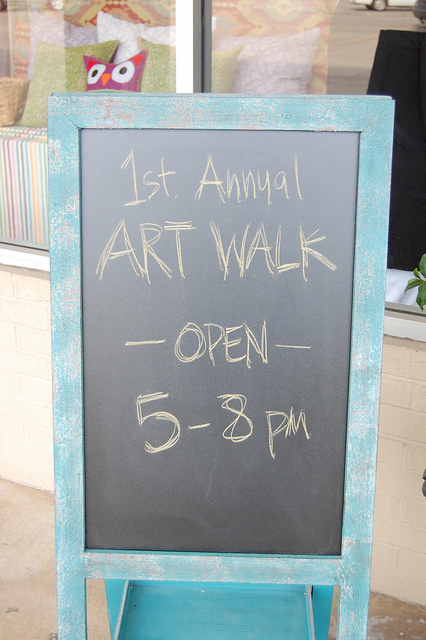 The workshop and the art walk will allow citizens in Linden and Marengo County to enjoy local artists’ work. One of the first steps in asset mapping is to identify all the different assets in a community. 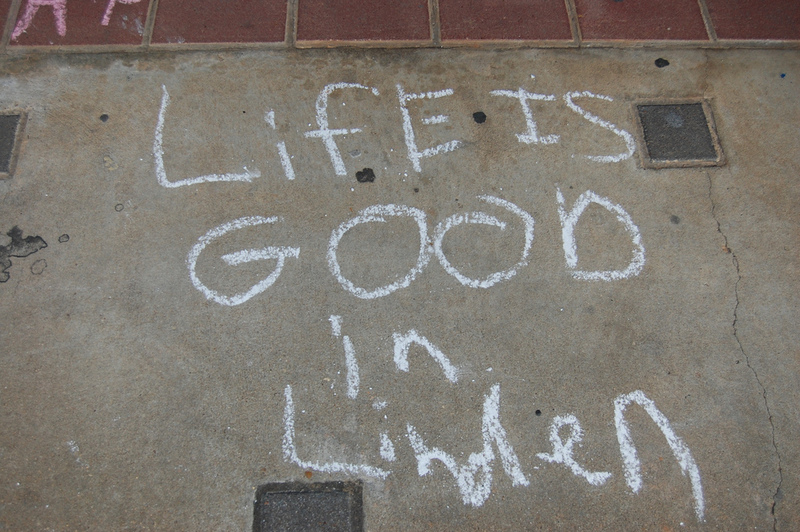 People, in almost all cases, are the greatest assets in a community, and this is certainly true in Linden. These kids did great work that will be recognized and honored at the Art Walk. I hope they will be recognized as excellent examples of assets. They all have true talent that needs to be treasured by the community. County Extension Coordinator Kathryn Friday, Living Democracy Fellow Kaleb Kirkpatrick, and Brenda Tuck, with the Marengo County Economic Development Authority, planned Linden’s Art Workshop.